I did prepared this manicure in advance for the fifth appointment of the Nail Crazies Unite Challenge, which prompt is "Ugly Sweater". Many of us must have received an Ugly sweater (or two) last Christmas, this has become a tradition and sort of an icon LOL. Hello, sweeties. Happy Friday! Only a few hours left to Christmas and, as every Friday, I have a new nail art design for you. Today is the 6th nail art prompt for the "26 Great nail Art Ideas" Challenge, and the theme is Pastel Christmas. Of all the "Christmassy" colours I can think of, I must admit, pastel ones are not those which come to my mind, using these type of colours has definitely become quite a challenge! Hi Sweeties! Are you rocking the last days before Christmas? I certainly am, writing right now from my parent's home in Argentina, I thought to share my latest perfume crush ♥ with you. I immediately fell for Miss Dior Absolutely Blooming and I'm still in love with it, so it's definitely one that deserves being mentioned here! Hellooo sweeties! Greetings from Argentina! I'm finally enjoying with my family and friends back in my homeland and oficially on vacation. 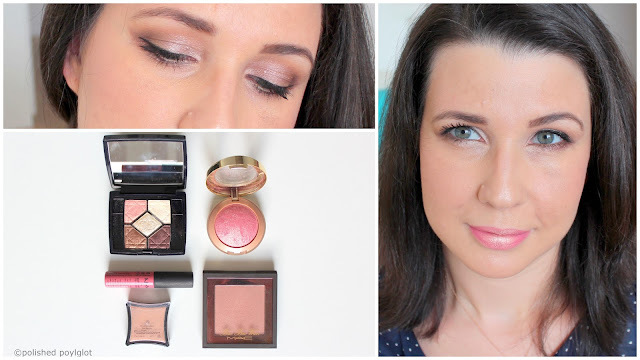 But I wouldn't miss this appointment with the Monday Shadow Challenge as the prompt for today is GOLD GLITTER! So appropriate for this season! Let's take a closer look. Hello, lovelies!! By the time this post goes live I'll be up in the air flying to Argentina, yay!! This is the fourth appointment of the Nail Crazies Unite Challenge the prompt is "Candy Cane". Of course nothing represents the sweetness of the Season as a striped candy cane! I have this simple but very eyecatching manicure to share with you. Hello my sweeties! How are you today? I have a new Zoya nail polish collection to share with you!! Zoya "Enchanted" collection for Holiday 2016* which is simply stunning. Enchanted it is definitely not your regular Christmas collection, if you are sick of reds, gold, silver, and you are looking for something super special to make a statement with your manicure, look no further! Enchanted is by far my favourite Holiday collection this year. I really can't choose a favourite, I love every single shade of this edition, it is so right up my alley. If you don't trust my overexcitement, I invite you to keep reading and take a look at these babies, then tell me if these colours aren't just GALORIOUS!! Does this Monday feel sweeeeet or what?! Just a few more days and I'll be on my way to Argentina, I CAN'T WAIT!! Let's still pretend it is a regular Monday and let's talk about makeup. 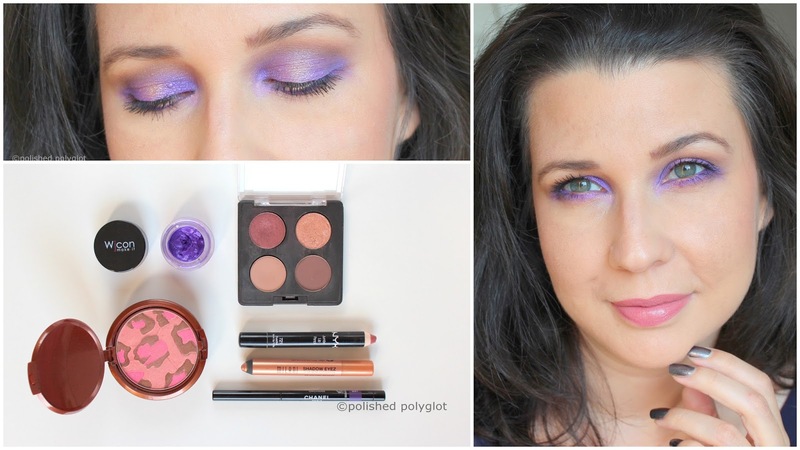 Today the Monday Shadow Challenge is featuring one of my favourite shades PURPLE! Of course, not just plain purple but Purple Glitter. Shall we take a closer look? Hello Sweeties! How is your weekend like so far? It's been terribly hectic around here, so I'm unusually posting on a Saturday hoping to catch up with blogging a little. Today I have a review on the last items I got from Born Pretty Store and they are all nail art related! I'm reviewing the new Born Pretty Store silicon mat, the cutest stamper with scraper set in a Christmas theme and two awesome stamping plates! Keep reading to find out more about them. As every Friday, I have a new nail art design for you. Today is the 5th nail art prompt for the "26 Great nail Art Ideas" Challenge, and the theme is Christmas Preparation. I love the Advent period and preparing Christmas, so I kept having ideas for this manicure, but finally settled for Christmas biscuits. Keep reading to find out what this manicure is about and how you can easily recreate it at home! Hello,sweeties! Bonjour! How are you enjoying December so far? Our Holidays Season preparations are a bit different this year, but there is one thing that can't be missing whatever the weather is out there: GLITTAAAAH!! The whole month of December for the Monday Shadow Challenge we will be featuring different shades of glitter, and today it's time for some Silver Glitter. Hi There! How are you doing? 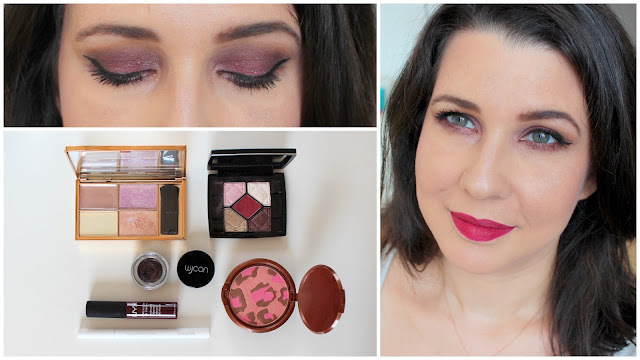 Fall is almost finished and I haven't had the time to share with you what my makeup choices was this season for my personal makeup challenge. I wanted to catch up with that today, just as a way to document my progress rotating and using up makeup. Hello,sweeties! Bonjour! How are you today? Can you believe November is almost over? Where did this year go?! It seemed like yesterday I was writing about my new years (lack of) resolutions for 2016, and nowI'm already getting ready for 2017!! Well, enough of small talk, let's get into makeup. Today my makeup is totally "off topic", why? because I failed to use the right colour for the challenge 😞. In fact the prompt for this week was "Vert de gris" which I had no idea what colour was supposed to be. I was going to skip this appointment, but at the last minute I decided to prepare a look anyway. I used Goolge Translate (WHY?!) who told me vert de gris was "green grey". I still had no idea what colour that was, but lacking the time for a proper research I just grabbed some grey and duochrome green and slapped it on my face! Hello, my lovelies. Happy Friday! As every Friday I have a new nail art design for you. Today is the 4th nail art prompt for the "26 Great nail Art Ideas" Challenge, and the theme is Winter warmth. This is a very cool theme. Keep reading to find out what this manicure is about and how you can easily recreate it at home! Hello my lovelies! How are you toda? I'm having quite a busy week, but trying to keep up with the blog, speaking of which I have GREAT news today!! Zoya has recently launched a new Lipstick range and they are available in Switzerland, wii! Today I have some of the colours* to share with you, keep reading to learn all the details. Hello Sweeties! Bonjour! How have you started this week? I'm very excited today because it's my hubby's b-day, (happy birthday darling! I know you're reading ♥). We won't be losing any time waiting for the next weekend and we'll go to dinner out with the family to a restaurant I've never been to. THAT is a very exciting plan in my life! Dinner out on a Monday? with the kids? who have school on the next day? R-e-v-o-l-u-t-i-o-n! haha, LOL. Enough 'bout that, let's get serious, please. I am finally on my regular schedule again! 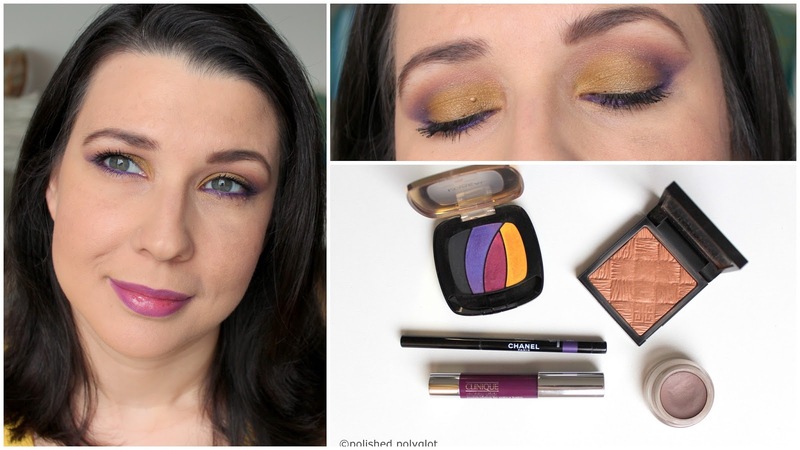 As every Monday I have a new makeup look to share with you for the Monday Shadow Challenge. 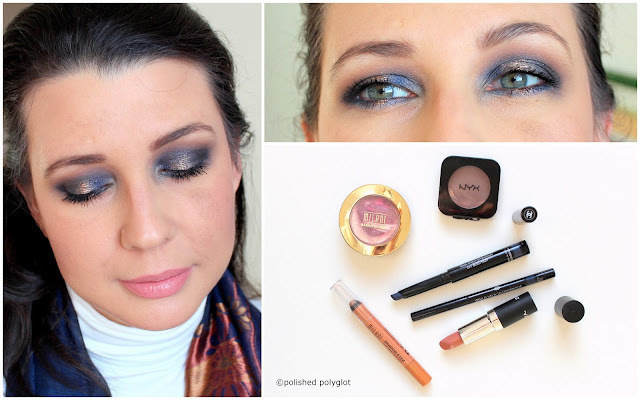 Today I'm presenting to you a quite glamorous look in midnight blue and gold that is appropriate for the upcoming Holiday season, usually charged up with dinners out, parties and reunions where we would love to look our best! C'est absolument fou que j'ai déjà écris 800 articles sur ce blog!! Pouvez-vous le croire? Durant ces 4 années et ses 800 billets tellement de choses se sont pasées dans ma vie personnelle et ma façon de blogguer a vraiment évolué. Vous êtes de plus en plus nombreuses à me lire de sorte qu'on approche bientôt un demi-millon de vues!! C'est complètement dingue. Je ne saurais pas vous remercier assez! Biensûr il y aura bientôt un mega-concours (ou deux), restez par là car ce sera super. Entre-temps, je me suis dites que c'était l'occasion pour partager avec vous une super xpérience que j'ai eu l'occasion de vivre: ma première interview en tant que blogueuse ! Marlena m'a posé des questions por le Reficis Mag de Novembre. On a parlé sur la beauté, la cosmétique, ma vie en tant que blogueuse, j'ai été trop contente (et un peu fière, hehe) et je ne revenais pas qu'elle ait pensé à moi ♥♥♥ Merci Marlena! Hello Sweeties! Bonjour! How are you ? It is unusual of me to be writing on a Saturday and even more to be showing a makeup look that should have gone live for the Monday Shadow Challenge two weeks ago! But I had done this makeup in Dusty Rose shade, I thought it was a very "me" look and I wanted to share it with you anyway. I'm starting a new nail art challenge today with the Facebook group Nail Crazies Unite! This challenge already started last week, but I couldn't participate for the first prompt. It will run every two weeks for one year. I really hope I will be able to complete it. For this week the prompt is Fall foliage, which I really enjoyed, as (I've said 20 million times) the Fall colours really inspire me. I have missed you last Monday as I couldn't write my post in time for the Monday Shadow Challenge. But this week I really wanted to participate to the challenge as the colour prompt was super challenging and outside my comfort zone: Makeup in mustard yellow. Keep reading to see how my makeup turned out! It's been a while since my last post, exactly twelve days, which is pretty long after writing almost daily for the past 7 months. I was really needing a break from blogging and this time was totally unplanned and unexpected but it surely did me good. We all got ill after Halloween and I fell behind with a bunch of stuff I was supposed to do and I didn't feel I had enough energy to do everything and the blog. But you know I can't be long far from this blog and from you! Today I'm trying to catch up with yesterday's nail art prompt for the "26 Great nail Art Ideas" Challenge. Keep reading after the jump! The long wait is over! Happy Halloween sweeties! My children have played the whole weekend with the halloween masks and costumes, they've already had major fun, so this evening we will go out for candy. There is not much people celebrating Halloween in Switzerland, so I keep fingers crossed they won't be disappointed and we can find at least one or two houses that will actually answer the doorbell. 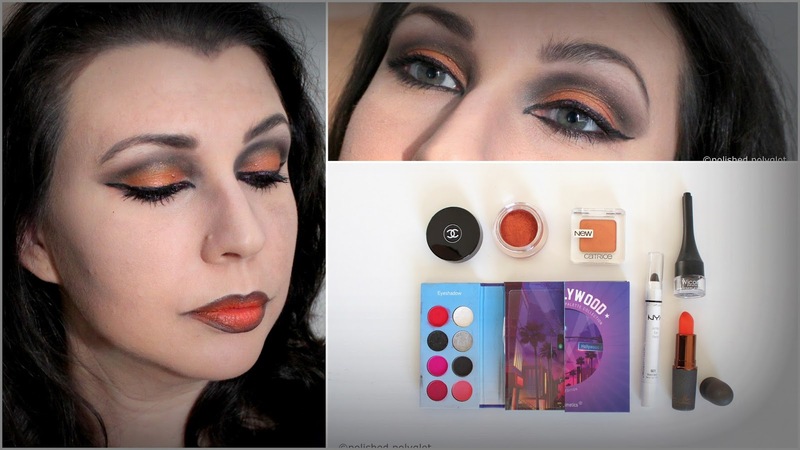 Today is as well Monday Shadow Challenge, and I could not skip the occasion to present you a Halloween makeup. Today's colour is, of course, pumpkin orange! 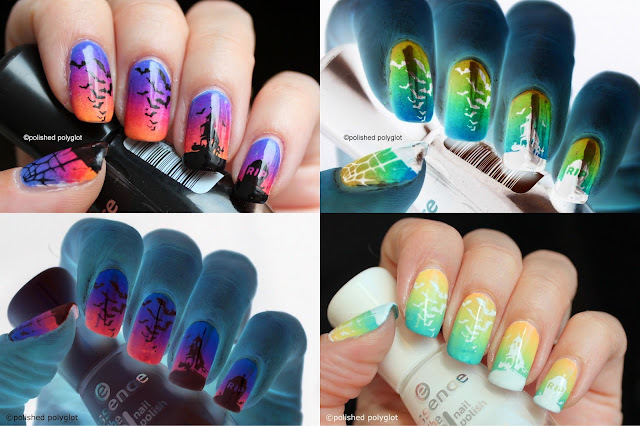 Today, as every Friday is time for some nail art :) We are already counting the hours to Halloween, so the ladies of the "26 Great Nail Art Ideas Challenge" thought to challenge us to create a Halloween manicure with "the wrong colours"!! I don't like to think there are "wrong" or "right" colours so I came up with an idea: using inverted colours! Keep reading to find out how I did this manicure! Hello, my lovelies! How are you doing today? I am super excited because I have 6 of the shades of OPI Breakfast at Tiffany's Collection for the Holidays*to share with you.That means that is SWATCH TIME!! Are you ready to choose your nail colour for the Holidays? Not long ago I presented to you a product from a new brand called "Daily Concepts®" which recently landed in Switzerland and today it's time to share with you another product from their range. This is a konjac sponge. I know konjac sponges had a moment of popuarity in 2010 or so, but I personally never tried one, so I was very excited to put this particular one to the test and share my experience with you! Seriously, I feel young inside. I'm eager to do new things all the time. Always thinking what's the latest? I don't feel at all 36, I feel more like 26. I believe the sparkle in my eyes shows my true age at heart. Unfortunately, my skin doesn't quite agree with my feelings. My skin does not follow my spirits, but she has this annoying tendency to obey to nature and gravity. I do not want to hide my age or pretend to be younger, I want my skin to show how my inner-self feels: young! After all, I'm not 86, I'm 36, there are lots of things I can do for my skin. 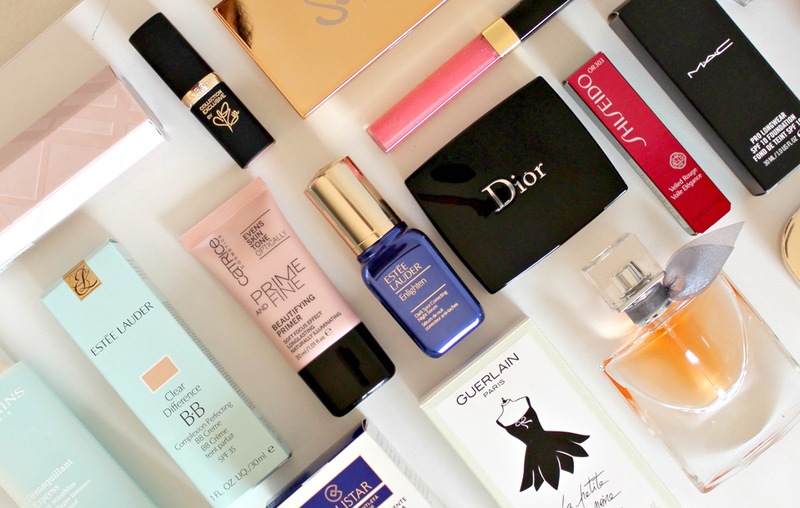 Treating my skin to fine cosmetics is definitely one very important thing to look my best. So when I heard Coolbrandz was looking for people to test the new skincare range Revitalift Filler HA by L'oréal Paris, I immediately jumped in (head first). I was so excited to learn I was chosen among so many applicants that I started using the range right away. You know I like to do things right, so I tested this range for 4 full weeks, now I am ready to give you my honest opinion with an in-depth review!! Hello Sweeties! Bonjour! How are you today? 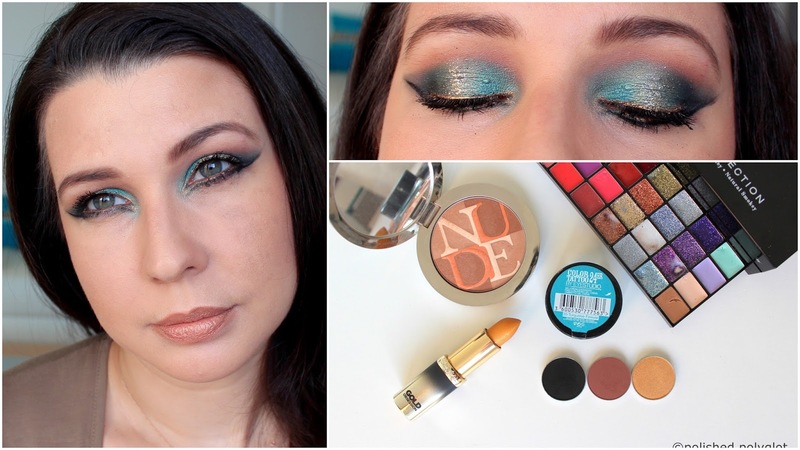 As every Monday I'm very happy to share with you my makeup look for the Monday Shadow Challenge. But this week I'm specially excited because I am working on some new content for the blog coming later in November. I can't say anything for now, but things are being cooked ;) Before that, I have two surprises for this week, that I hope you will like , so I can't say anything either, aaargh! but what I can tell you guys, is that it's about a little thank you to the BIG support you give me, I'm very excited about it! Enough about that, let's get into makeup! This week we are munching pistachios! 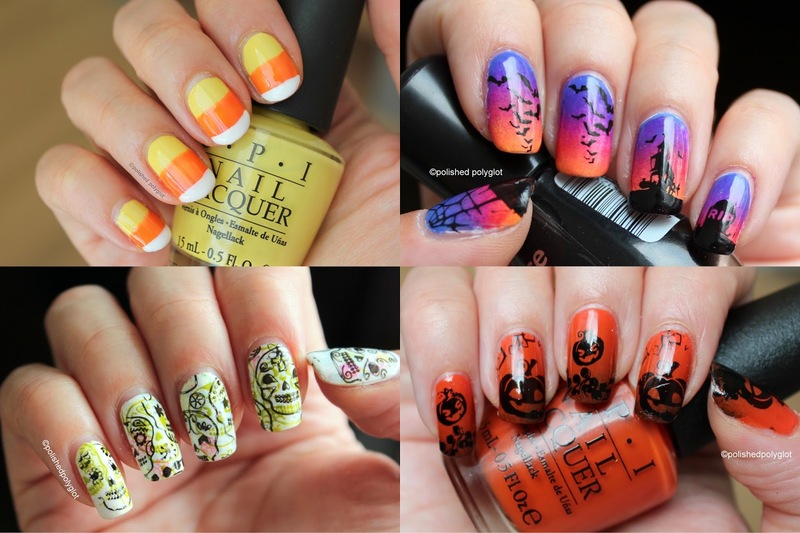 Nail Art │ 10 nail art ideas for Halloween. From beginner to advanced. It's time for nail art! As the Halloween date is approaching I thought you'd like to have some inspiration for your nails. I will have some new designs next week, but in the meantime, let's take a look at my past Halloween designs, I'm sure you'll find something you like! Hello sweeties! How are you today? Today is the first appointment of a new Makeup challenged I've recently joined called "Art & Freak Show". This is a monthly challenge with a prompt for artistry or SFX makeup. At first, I joined the group out of pure voyeurism, as I find artistic makeup or sfx makeup so fascinating! But, eventually, I thought I should participate because that would be a real challenge. The prompt for October is "Clowns", mine has been done with the makeup products I use everyday. Hello, lovelies! How are you? 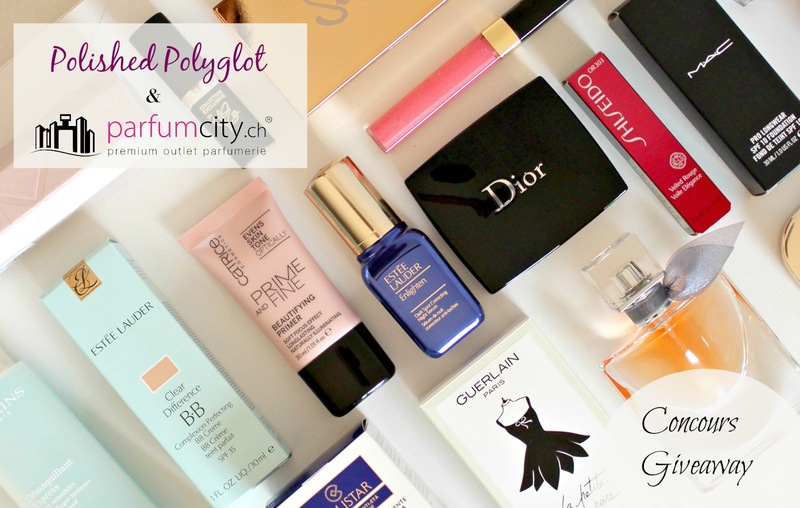 Last week my Switzerland exclusive giveaway ended but I haven't forgotten my international beauty lover pals! 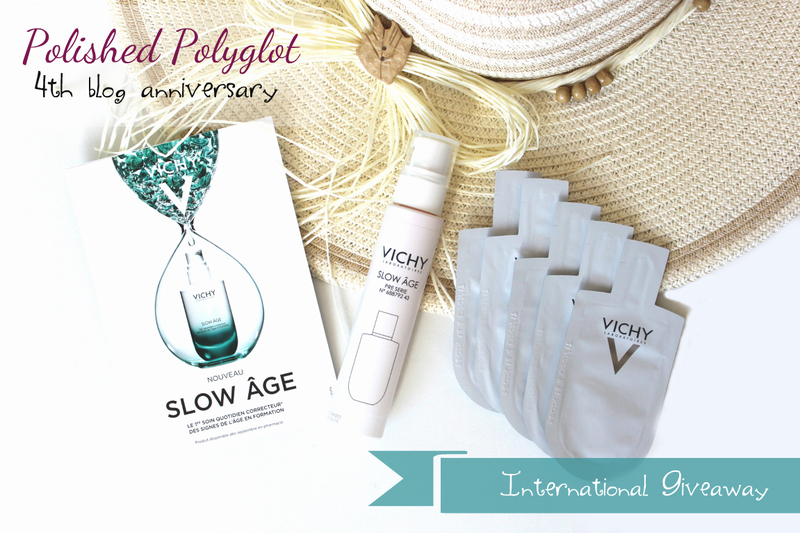 Today you can win this exclusive kit from Vichy Slow Âge, the newest launch wherever you are in the world! Keep reading to find out how to enter the raffle, it's easy!! La semaine dernière, mon concours exclusif pour la Suisse a pris fin, mais je n'ai pas oublié mes beauty-addicts internationaux! Aujourd'hui, je vous propose de gagner ce kit exclusif de Vichy Slow Âge, le dernier lancement de la marque, et vous pouvez prendre part où que vous soyez dans le monde! Continuez la lecture pour participer au tirage au sort, c'est très simple!! Today my boy re-starts school after three weeks of "Autumn-break", so we are going back to normal schedules, at least until Christmas Holidays. That means I will get a little more time for blogging properly again. I don't know if you have noticed I haven't been answering comments or reading a lot of other blogs lately (hangs head in shame). I apologize and I will try to catch up with those comments soon! 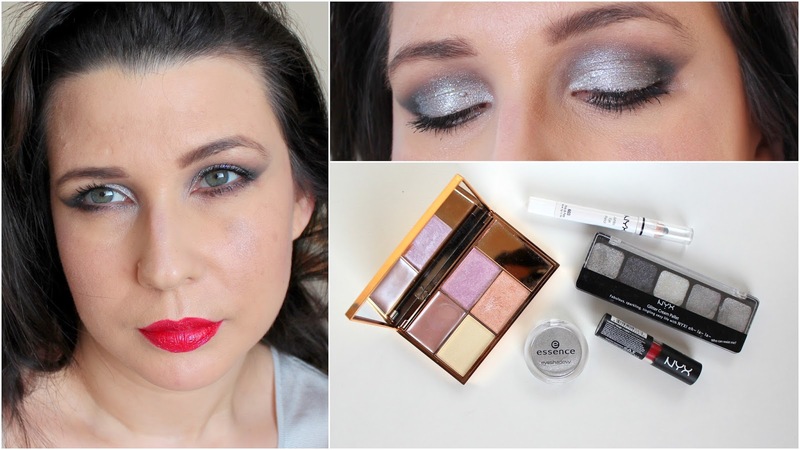 As every Monday, I have a new makeup look to share with you using the colour chosen for Monday Shadow Challenge. This week we are dipping into Marsala! I hope you are having a lovely Sunday. We are about to have a late lunch and while the home made Lasagna is finishing to cook in the oven, I make a jump over the blog to announce you the winner of my Giveaway!! Hello, my lovelies! Happy Friday and happy new nail art challenge! Last week I was wondering how I was going to find the inspiration to fill every Friday nail art post, when all of a sudden I found out there is a new Challenge launching today! 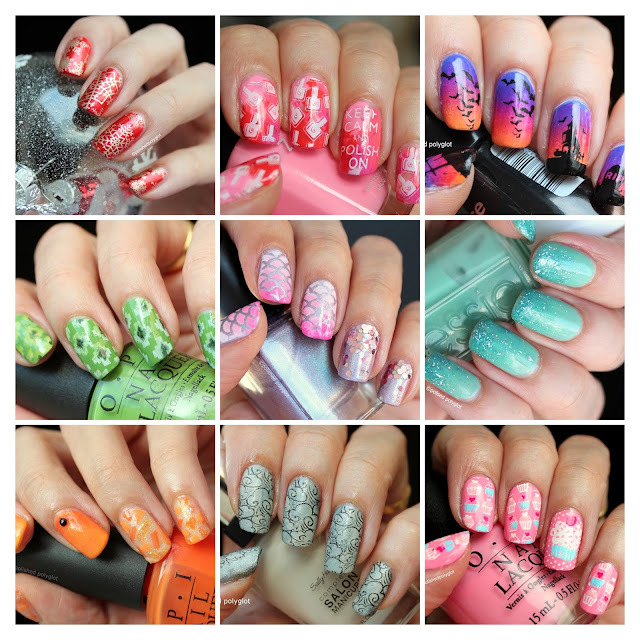 This is the "26 Great nail art Ideas" challenge and it will run every other Friday for one year. I am so excited! It's official, I am a total sucker for Chanel's seasonal makeup looks. Yes, yes, I might be an educated consumer, but when I see the double C launching a new Collection, well, I fall for it over and over! Although I managed to go through the Summer (and the summer sale) without splurging in any high end LE collection, I just couldn't resist the New Chanel Le Rouge n°1 Collection for Fall. I got two items and I prepared a look featuring them! Want to see more? Hello my sweeties! How are you today? I just came back from a wonderful vacation (why do vacation always seem so short?) and I need a serious pick me up :( I think it's the perfect timing for holo nail polish!! Zoya "Urban Grunge" collection for Fall/Winter 2016* achieved to cheer me up in no time! Gorgeous sparkling nail colours... never fails to put me in a good mood. I am sure you'll agree with me as soon as you see how lovely these polishes are. Hi, Sweeties! How are you today? It's time to share with you about more Korean Beauty products I've recently tried, more Facial masks!! These mask from Tony Moly look pretty attractive and are very affordable, I saw many people reaching for them and praising them, but are they really worth the hype? Hello, my lovelies! Bonjour mes poulettes! Greetings from the beautiful and sunny Mallorca! If you follow me on Instagram or on Snapchat you can see bits and pieces of my vacation here. Today is a very, very special day, because Today Polished Polyglot turns 4!! I can hardly believe how much has gone by these four years, how many people I have got to known, to exchange with and even to meet personally!! I started this blog as a simple personal diary for keeping track of my manicures and my nail polish collection and it grew, slowly but steadily in an almost full time occupation. I am so greatful to all of you my lovely readers who are always there for me, even when I have gone through hard personal moments and absent from the blog, you were always nearworrying for me. I will never forget it and I want so much to THANK YOU!! I would love to reward each one of you, unfortunately, it is not actually possible so, I will be having during the whole month of October and part of November a series of Giveaways in collaboration with some brands and stores to show you guys my appreciation! There is already a contest going on, so be sure to check the link at the very end of this post! Now, the reason why you came here today, of course, MAKEUP! What else? 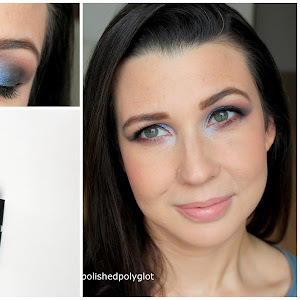 Today's Monday Shadow Challenge proposes a strange colour full of history: the colour "Pourpre". If you are scratching your head in wonder (as I did), please keep reading to find out about this colour! Normally on Fridays I would post some nail art, but as the Nail Art Challenge I followed has finished last week, I thought it was time for a roundup! So if you were looking for inspiration for doing your nails, this post may come handy, as I'm about to present you 52 different nail art designs in one place! What the say is true, the hands are the first to sell out your age!! We dab all sorts of lotions and potions on our faces, but are we taking good care of our hands? Not that I try to hide my age, but I take a lot of closeup pictures of my hands and as I do not use photoshop as other nail bloggers do, I want my skin to look great and appealing as possible. So, here I am, with yet another product from a Korean brand specially developped for hands: Tony Moly Peach Antiage Hand cream. I was sold when I saw the packaging, right? how could this be any cuter! But, of course, Does what is inside leave up to the expectations? Keep reading to find out what I think after using this hand cream! Let's have a closer look. Skincare │ Daily Concepts® in my shower! So it seemed super funny to me to discover this brand of shower and body care accessories called "Daily Concepts" whose moto is "Individuals who think (and sing in the shower)". It's such a perfect fit, haha! If you are looking for original solutions for your daily body care, keep reading! Are you supposing that as I'm leaving you'll finally get rid of me? WRONG!! haha, you'll still see my face around because I have scheduled plenty of posts for you to enjoy during my vacation. I will be posting on Instagram and facebook, but I will not be answering emails, sorry. So, let's get into MAKEUP! 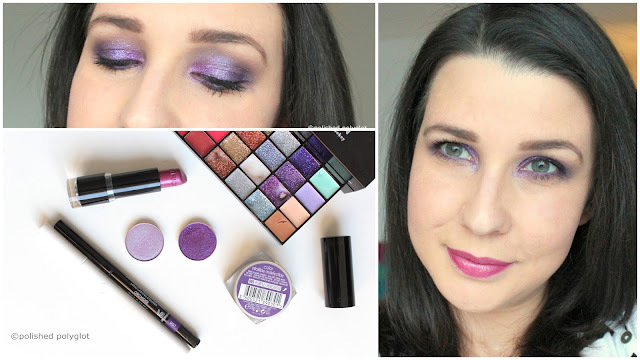 Today the Monday Shadow Challenge proposes one of my absolute favourite shades, wich is electric violet. Shopping │ My Fashion Haul in Italy. Transition from Summer to Fall. Hello sweeties! I hope you are having a great weekend, I'm having a great one, already counting the hours for our next vacation, which are starting on Tuesday! yay!! talking of vacation... it was about time that I finished showing you what I shopped for during my summer vacation in Italy! Shall we look at the rest of the things I got? Does it smell like gingerbread already? What? Oh, the Holidays season seems far, but it is just around the corner! 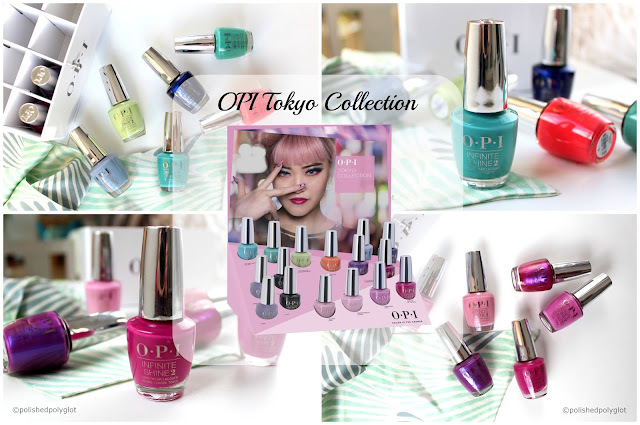 I have great news: OPI is launching this fantastic collection Breakfast at Tiffany's inspired by the ethernal beauty and fashion icon Audrey Hepburn! I tell you I can't wait!! Nail art │Fancy a cappuccino? Last nail art design, now what? As I told you earlier this week, next week we'll take a few days off to enjoy a family vacation, so this weekend I might be taking a close look to the weather forecast (weather is so changing lately) so I can properly pack. I will probably end up overpacking..right? but I do that regardless of the weather conditions since I have children! What will you be up to this weekend? Now, I'm quite sad to introduce the VERY LAST appointment of the 40 Great Nail art Ideas Challenge. OH no!! I can't believe I've created 52 nail arts for this challenge and one whole year just went by like that, but yes, that's the case. The prompt this last week is "earth tones". Today's manicure is also a good one for short nails, I hope you like it! Hello Sweeties!! How are you? We are having such a glorious Autumn, so sunny and warm that it almost feels like Spring! Can you even believe we will be OCTOBER in only two days?? Talking about OCTOBER, it is my blog's anniversary month! Yes, Polished Polyglot was born the 10th October 2012, wow already 4 years!! How are you today? Is the Fall weather full on where you live? Here it is a bit chilly outside already, specially in the mornings, but still mostly sunny! Autumn colours are slighlty starting to show up in the vegetation too. It is the perfect timing for introducing the newest Zoya Fall/Winter Collection called "Urban Grunge"*! 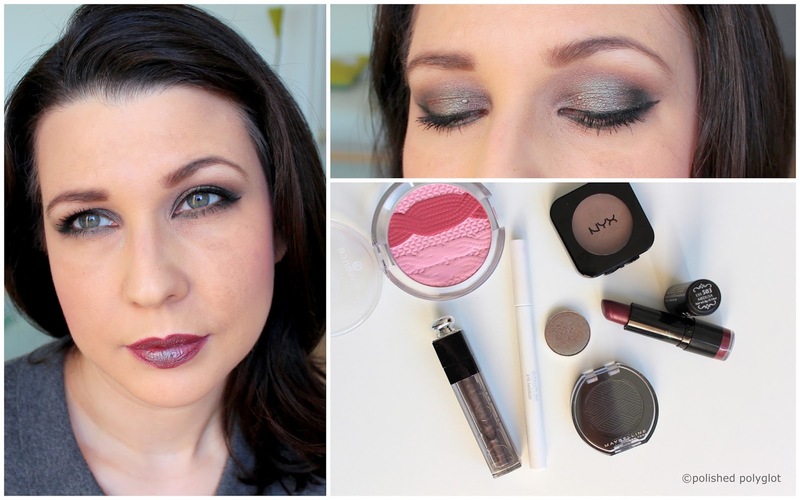 These are very modern shades and they have the perfect vibe for Fall. Today I'm going to present to you the first six shades, the One coat creams. How was your weekend? Here the Autumn school break has started, so my "big" boy is at home for a few days (three weeks!) Honestly? I still don't get the Swiss school system, they just had 5 weeks of school and now three weeks off. what is it like in your country? If everything goes as expected, we'll be leaving next week for a very short vacation, trying to make up for our not so great summer vacation last July (if you're curious why they weren't great, check here). But don't worry, because I already have a few posts prepared for you during my absence!. 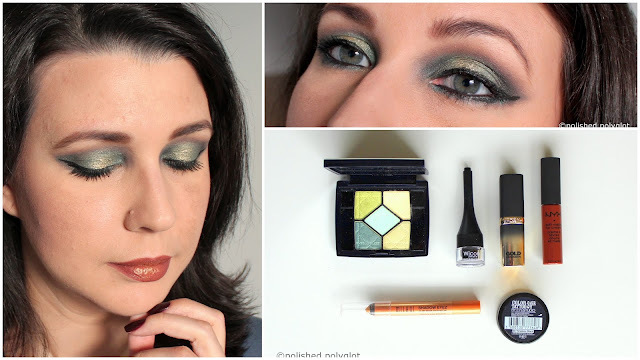 Today the Monday Shadow Challenge proposes today the shade "Champagne", say Cheers! I might have said it 2 million times already, but I love Fall. I love this season in a particular way, it's mainly because of the colours, the stylish yet cozy outfits, boots, scarves, JACKETS (my favourite piece of clothing are jackets, which are yours?) and of course, landscape colours. There is something magical about walking in the woods while the trees chenge from green to virtually every shade between orange to gold. I find it poetical, inspiring and it really boosts my creativity! Ok, I could talk about Autumn for ages, but the point today is that the "40 Great Nail Art Ideas Challenge" has chosen "Autumn" as today inspiration for nail art, so I have a new manicure to share with you! Makeup │ Exagerate. Purple, pink & Dolce & Gabbana. 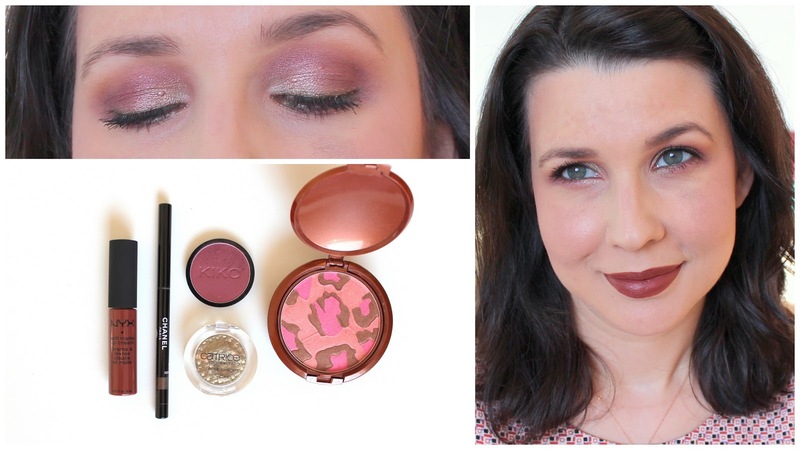 Suddenly I realized I never showed you this Dolce & Gabbana quad my hubby got me last Fall! 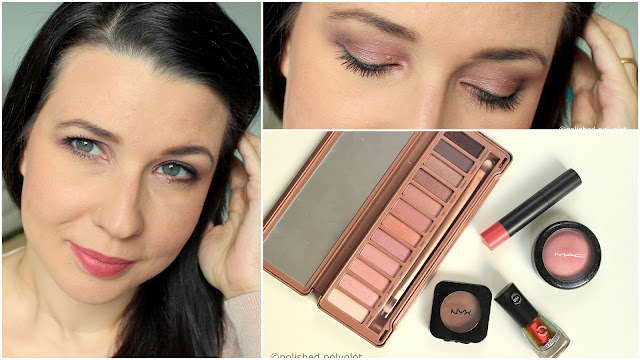 It was limited edition, but as I'm trying to shop my stash more and buy less makeup, I thought it would be a good idea to use this stange-beautiful palette for a Makeup look!